(WALB) - The presidential election is bringing a lot of customers in to some South Georgia Businesses. Gun sales are up because of concerns about potential new gun control measures. Election years means folks are stocking up on campaign signs and bumper stickers but there's something else that has customer's constantly walking through the doors. 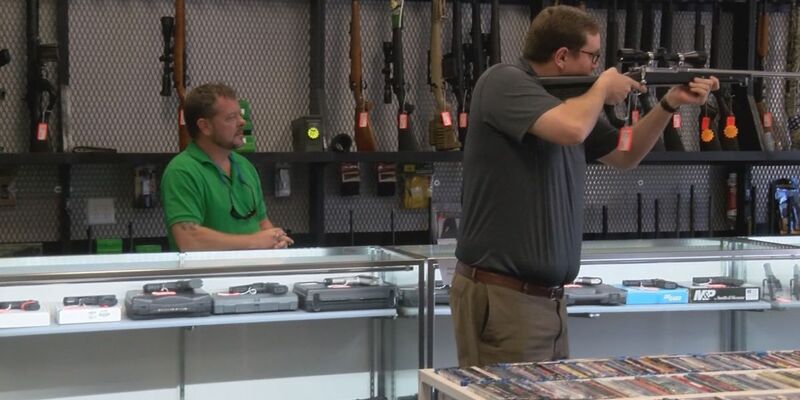 Gun sales are soaring, and businesses in South Georgia said they are prepared. "Over the last 15 years, anytime there's an election and a candidate threatening gun control, sales rocket through the roof," said Valdosta Pawn manager Ed Mullinax. The most popular item being sold right now isn't your typical small handgun. "We stay stocked here pretty much year round but there's certain guns like semi automatic rifles and stuff, we stock up on because of high demand," said Mullinax. That means AR-15s and AK-47s, but in order to get those you have to the normal background check provided by the FBI's National Instant Criminal Background Check System. According to N-I-C-S records, this October the number of background checks increased by almost 7 thousand. During the last election in 2012, In October sales increased from 31,000 checks to 37,000. In November, the statistics show that 47,000, an increase of ten thousand.
" Every election is a good day for gun sales," said Mullinax. It appears that many people are worried about gun laws changing soon. "A lot of people are in buying guns because they aren't quite sure what's going to happen after the election," said Mullinax.